A visit to the Wat Pa Tam Wua Forest Monastery came highly recommended to us, and by the account we were given, we knew we couldn’t miss it. 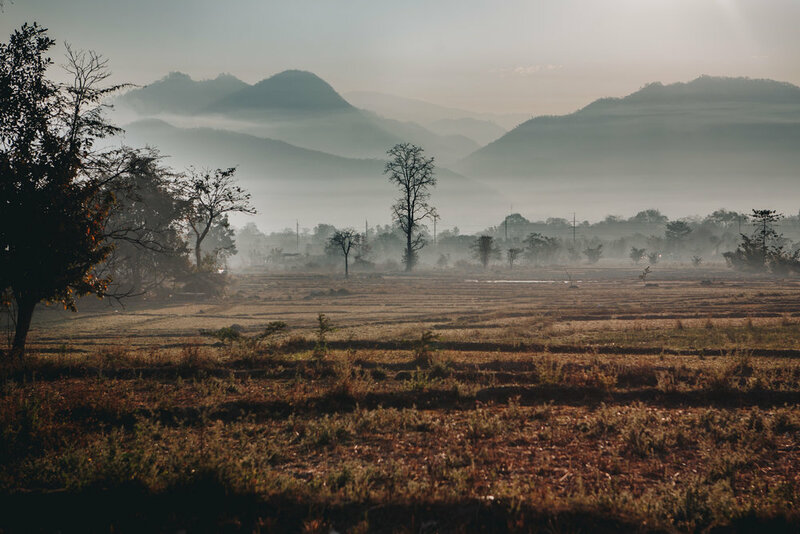 The facility is situated in a gorgeous mountainous region an hour and a half bus ride north of Pai. Anyone is welcome to stay and practice Vipassana Meditation for as long as they like on a donation basis. 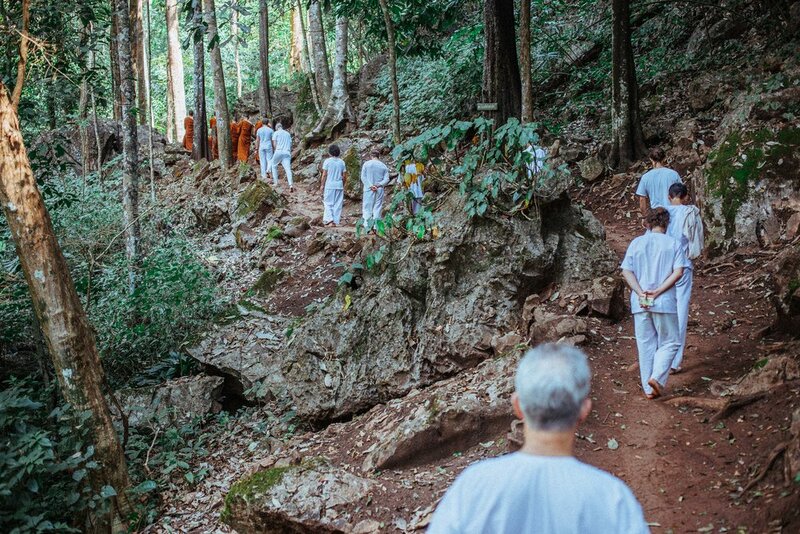 We arrived in time to eat a delicious vegan lunch before donning our white clothes and participating in our first two sessions, one of which was a walking meditation on the nearby hill sprinkled with caves, altars and statues dedicated to the Buddha.